Our Clubhouse is located at Folly Lake off Hwy. No. 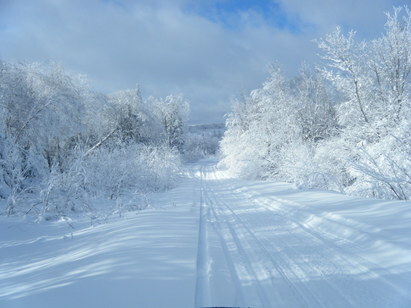 4 north of Truro, 84 Lafarge Lane, just a few miles before the Wentworth Valley ski hill. As a Family oriented snowmobile club you and all your family members are welcome!!! In 2015 & 2016 we were recognized by SANS as Club of the Year, 2016 we were recognized as Club of the Year by CCSO. We are the 3rd Canadian snowmobile club to be inducted into the International Snowmobile Hall of Fame Eagle River, Wisconsin. We have over 150 KM's of groomed trails available, plus the 104 Trail runs through our area with Sutherlands Lake Trail Groomers on the west and the North Shore Club on the east. Free BBQ on the trail.............join us for a fun day!!! Club Memberships for our 2020 season are due Dec 15th, 2019. Please support our club by either buying or renewing your membership, continue to have access to the clubhouse and to receive regular club communication. 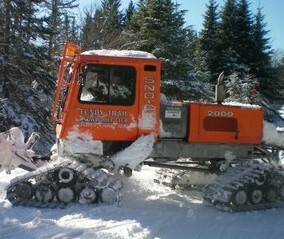 It is very much appreciated and needed for us to continue to operate the club and groom our trails. March 2019 Members of Fundy Trail Snowmobile Club are asked to return their FOB's to the clubhouse for re-programmimg. Canteen - Closed for the season!!! Thank you Eric & Noreen!!!! Fundy Trail Snowmobile Club would like to wish our volunteers, members, associate members, dealers and land owner all the best for 2018!!! if you do find anything that needs attention please let our Trail Coordinator Mike Eddy know... cell# 902-478-7651.